Your little one is getting ready to embark on a big step: going to preschool! I know Mama, it’s a BIG step. I was exactly where you were just yesterday 4 years ago. If you and your little one are preparing for preschool, here are some great tips to help make this transition as smooth and tear-free as possible! Trust me, as a mom who’s gone through this, and as a preschool teacher, I know just how hard this step is, but with some good routine and preparation, you’ll be sending your little one off to their first day with big smiles and a brave heart! Visit your child’s preschool prior to the first day of school. This will allow him/her to feel comfortable with the new environment, teacher, and playground. This familiarity will comfort them on their first day of school, and will reduce worries. Make sure you are talking positively about preschool at home. This keeps the conversation open for your little one to ask questions about what they can expect at school. Tell them how much fun they are going to have, how nice their teacher will be, and how many new friends they’ll get to play with! Read a lot of books about preschool in the weeks leading up to and the night before preschool. Books are a great way to get kids connected to real-life experience, and this is no different. Kids can relate to books when the main characters are embarking on the same journey they are getting ready for. Label all the things! If your child will be bringing a lunchbox, backpack, extra change of clothes, water bottle, etc. make sure they are all labeled! We personally LOVE these Little Kid School Combo Label packs from Mabel’s Labels. They are durable and waterproof and super cute! Find out what your child needs to bring and buy school supplies. Your child should have a small backpack regardless, so take your little one to the store to pick out a new backpack or choose one from this Backpack for Preschoolers list I’ve compiled here. The night before preschool, have your child help you set out her clothing, shoes, and backpack. This will keep your morning routine “drama” to a minimum. Print out our Preschool Morning Checklist and hang it on the fridge, so you and your child will remember to do everything you need to do before walking out the door for preschool. 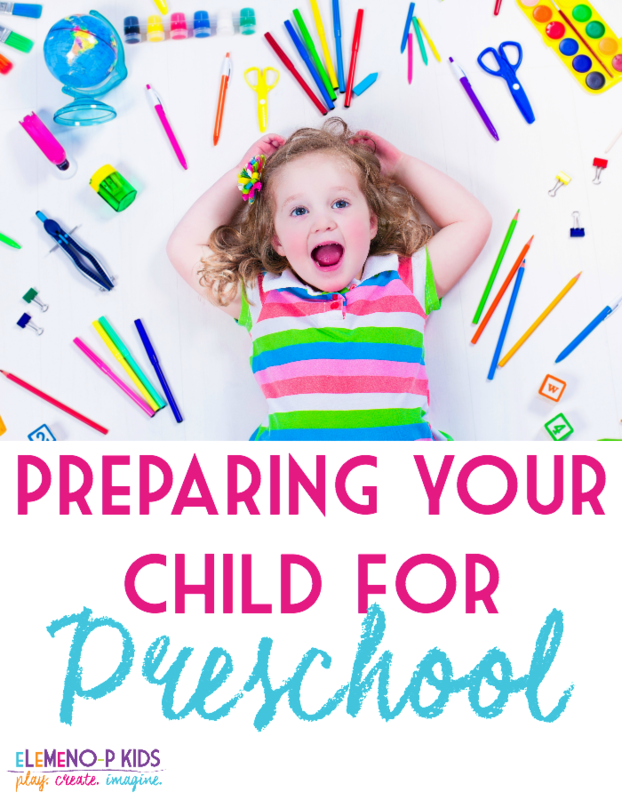 I really hope this helps you and your little one feel really great about preparing for preschool. This is a very fun and exciting time for both you and your child, so remember to make the most of every moment.